Zion receives Thank You for OCWM gifts! 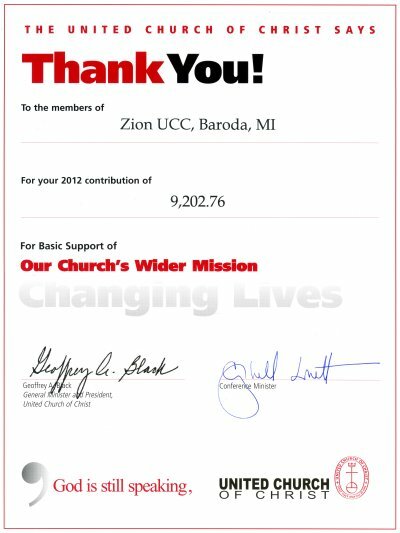 Rev Goeffrey Black, General Minister and President of the United Church of Christ, and G. Campbell Lovett, Michigan Conference Minister have sent a thank you note to Zion for your generosity to mission efforts during 2012. Many thanks for your amazing generosity! Your gifts continue the United Church of Christ's efforts to "change lives!"